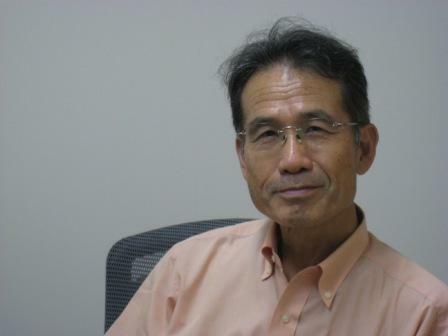 Okinawa, Japan, September 27, 2010 — Dr. Mitsuhiro Yanagida, Principal Investigator of the G0 Cell Unit at the Okinawa Institute of Science and Technology (OIST), has been selected by the Society of Biology as new Honorary Fellow. The vision of the London-based Society of Biology represents all areas of biology in academia, industry, education and research; facilitates the promotion and translation of advances in biological science for national and international benefit, and engages and encourages public interest in the life sciences. The Society has over 80,000 members, which include many learned societies and other scientific organizations, as well as thousands of individuals. An official ceremony for this prestigious honor will take place on September 29 at the residence of the British Ambassador to Japan, which will be also attended by the Society’s Chief Executive, Dr. Mark Downs. Dr. Mitsuhiro Yanagida was born in Tokyo, Japan. After studying biochemistry at the University of Tokyo, he took up research positions at the University of Vienna, an institution in Naples, and at the University of Maryland. In 1977, he became a professor of Kyoto University at the age of 36. Over the past 30 years, Dr. Yanagida has achieved excellent results in the research field of eukaryotic cell cycle, particularly the regulatory mechanisms of chromosome segregation. He is also widely known for his early works on fluorescence microscopic observation of DNA, which were the first such observations. He joined OIST as a PI in April 2004. In the G0 Cell Unit at OIST, his group is investigating the molecular mechanism of cell regulation in arrest and maintenance during the G0, or non-dividing stage of the cell cycle.